Members earn 80 points with this purchase. Perfect for everything from quick after-work hikes to all-day mountain adventures, the Hike+ Medium Crew Sunrise socks feature a technical blend of merino wool, nylon and LYCRA®, and offer premium cushioning and durable comfort for any trail outing. 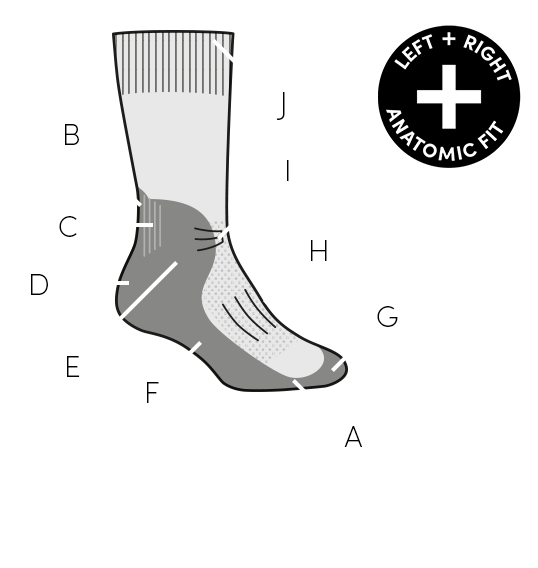 Designed with an anatomical design for a contoured fit, these breathable, odor-resistant socks feature a fully cushioned design for on-trail comfort, strategic support zones in the Achilles, ankle and instep, as well as a seamless toe closure to reduce bulk and prevent blisters.